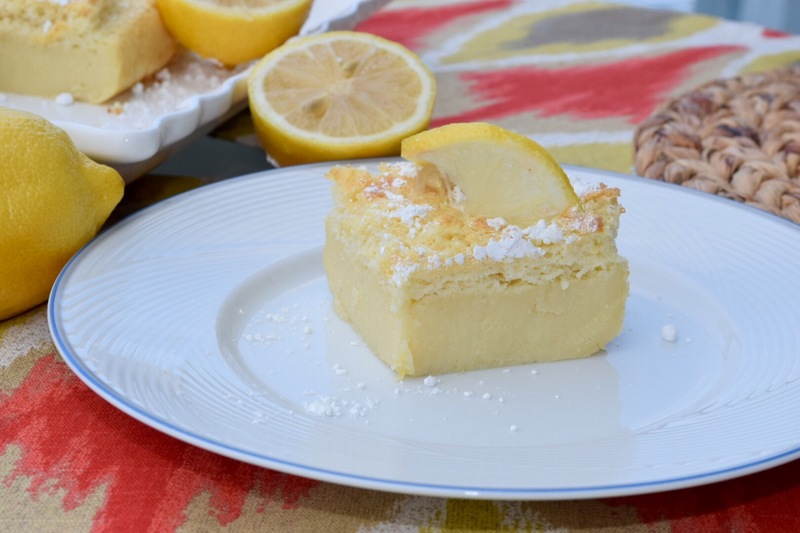 Lemon Magic Cake – T.W.O. Published on October 21, 2015 February 3, 2016 by T.W.O. 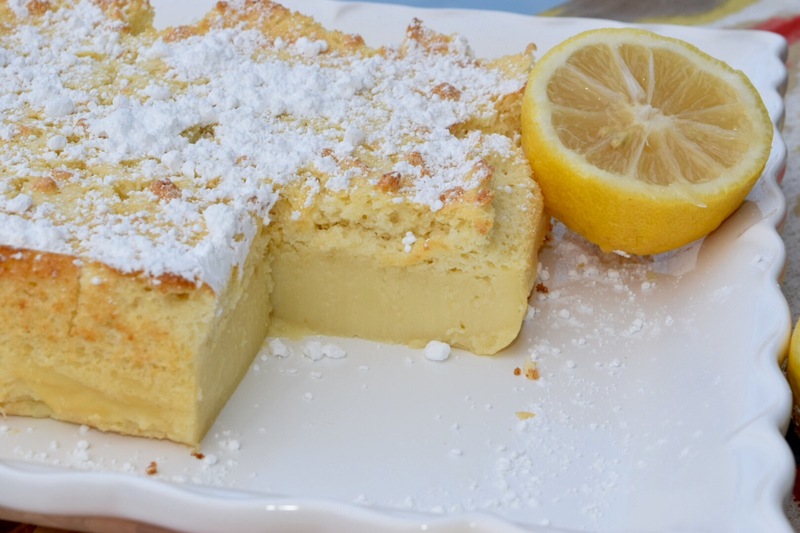 This might look like a lemon bar, but sorry to say its not. 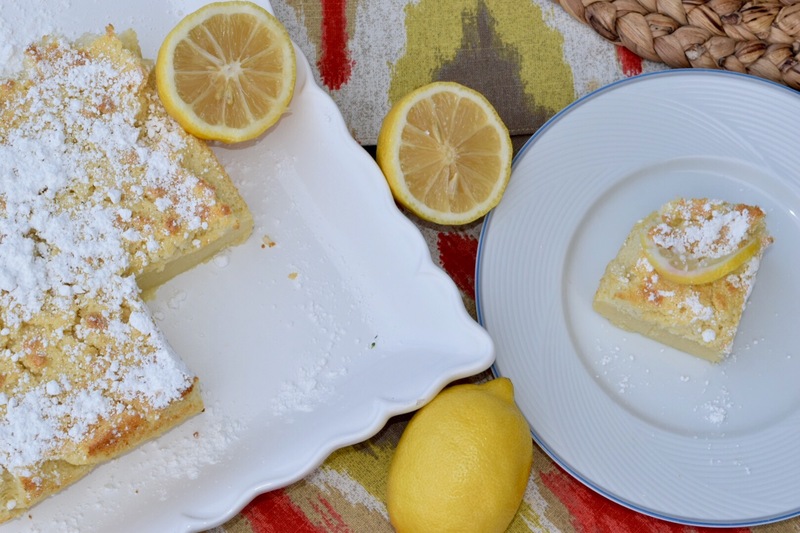 It’s magic….Lemon Magic Cake that is! It’s a lemony custard dessert that is easy to make and requires minimal ingredients. 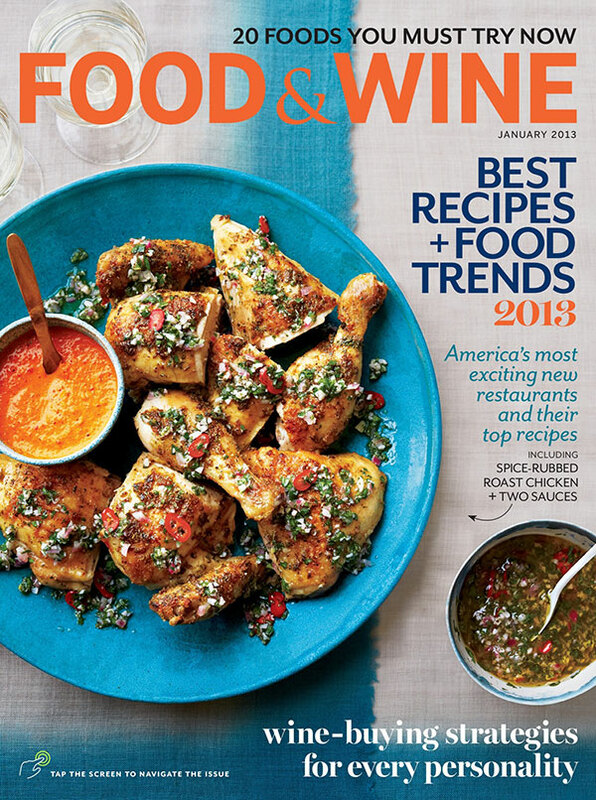 Find out how to make this piece of deliciousness below. Preheat oven to 325ᴼ Line an 8×8 baking dish with parchment paper. Mix the egg whites with an KitchenAid or electrical mixer until they are stiff. Place in a bowl and set aside. Using the mixer, add eggs yolks with the sugar. Mix well. Add the melted butter and vanilla and mix for about 2 minutes. Slowly pour the flour into the batter mix for another 2 minutes. Add the lemon juice and zest. Gradually add the milk and beat for 2-3 minutes. Fold in the eggs, 1/3 at a time using a spatula or whisk. It’s okay if there are small chucks of egg whites in the batter. Pour the batter into the baking dish and bake for about 40 minutes or until a butter knife comes out clean. Let it cool and sprinkle powder sugar on the top. You can serve this cake at room temperature or cold. I live in India and I want to purchase KitchenAid stand mixer in India? Pls provide me information about kitchenAId in India.